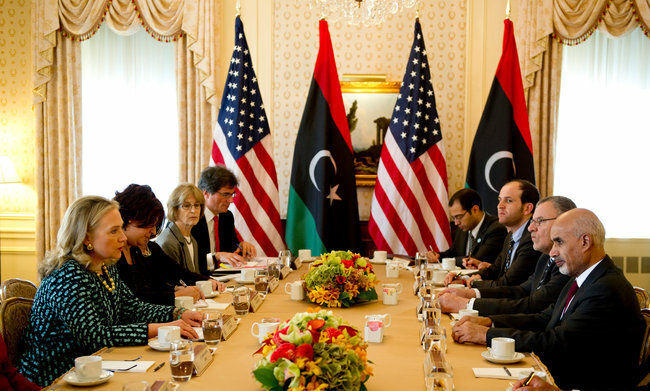 Secretary of State Hillary Rodham Clinton meeting with President Mohamed Magariaf of Libya. Top militia leaders in Benghazi have dismissed the possibility that Al Qaeda in the Islamic Maghreb played a role in the attacks or had a foothold in eastern Libya. Benghazi residents have said they believe the brigade that conducted the attack could not have managed the assault on its own, because it included more than 100 heavily armed fighters.